The app provides young people with scenarios and asks them to evaluate whether or not the behavior described is cause for concern, and was developed with the help of high school students across Middlesex County. The app also provides tips and resources about healthy dating. 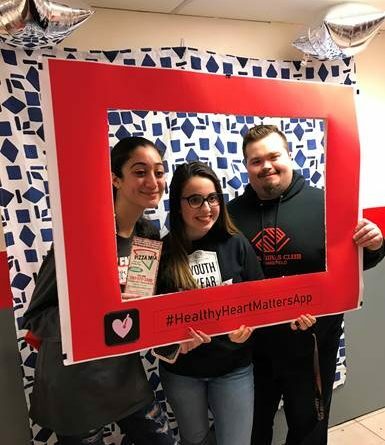 The app was officially announced at a launch event on Friday, February 1, 2019 at the Boys & Girls Club of Wakefield Teen Center. During the event local teens were able to download the app and talk to representatives from local domestic violence service agencies including RESPOND, Inc., REACH Beyond Domestic Violence, Alternative House, Portal to Hope, Stoneham Alliance Against Violence, Wakefield Alliance Against Violence, Transition House, Voices Against Violence and Domestic Violence Services Network, Inc. The task force consisted of high school students from Arlington High School, Bedford High School, Greater Lowell Technical High School, Keefe Regional Technical High School, Lincoln-Sudbury Regional High School, Northeast Metropolitan Regional Vocational High School, and Woburn Memorial High School.